"Marilyn is an active user of Google Classroom and the Google Education Suite (and applications such as Docs and Slides), and facilitates assignments using the Google Classroom platform. Her students are highly motivated when given the opportunity to use technology resources within the classroom, and the improvement their quality of work has been evident." Marilyn Farrell currently teaches fourth grade at Solvay Elementary School, a position that she’s held for the past three years. This follows two years spent teaching fifth grade at Solvay Middle School, also in the Solvay Union Free School District. How has Marilyn brought innovation into her classroom? 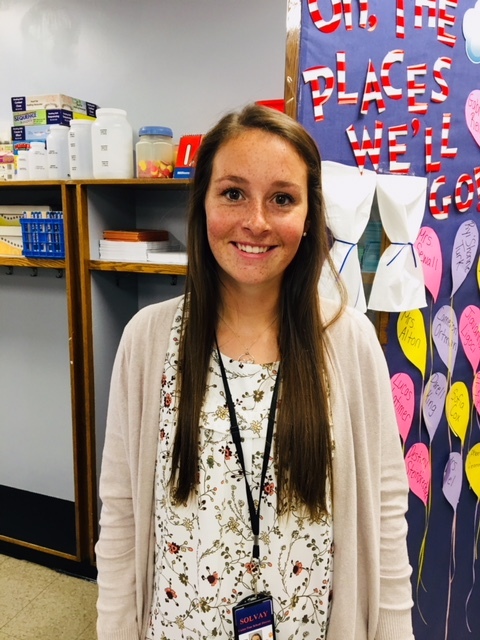 With the support of Instructional Technology Teacher Jen Wall, one of Marilyn’s early projects has been centered around teaching her fourth-graders how to create online portfolios using Google Sites. These portfolios will help create stronger connections between home and school, as families will be able to view the links to the portfolios and see their child’s work. Additionally, the use of apps such as Screencastify have allowed her students to share their goals for the fourth grade, and to reflect on some of what they’ve written so far this school year. In addition to launching this year-long portfolio project, Marilyn is an active user of Google Classroom and the Google Education Suite (and applications such as Docs and Slides), and facilitates assignments using the Google Classroom platform. Her students are highly motivated when given the opportunity to use technology resources within the classroom, and the improvement their quality of work has been evident. How have students benefited from Marilyn’s technology integration initiatives? With the adoption of technology within the classroom, Marilyn has seen increased interest from her students when writing stories that they can put into their portfolios. Some students took the initiative to work on their Google Sites portfolios at home, and then had the opportunity to teach their parents how to make their own site. That her students have already shown an innate interest in portfolio-building at a young age could certainly bode well in the future, as they consider the types of portfolios and presentations they might build for potential job interviews. When asking her students what they have liked most about the experience integrating this type of technology, most of Marilyn’s students said that they love the personalization aspect, and the choices that comes with it. She’s been thrilled to see the fourth graders so engaged in their learning.